The Rev. Mark Erson said his congregation, St. John's Lutheran Church, wants to help the needy LGBT youth it sees outside its doors. 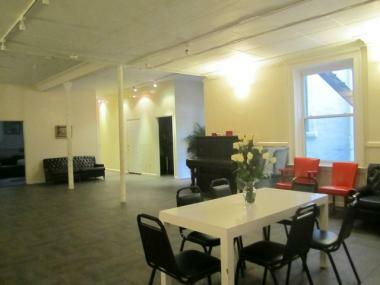 WEST VILLAGE — A Christopher Street church is planning to launch a weekly, LGBT-friendly drop-in night for homeless youth, the church's pastor told DNAinfo. Friday night meals and activities for as many as 50 youths will be offered at St. John's Lutheran Church at 81 Christopher St., just west of Seventh Avenue South, by the beginning of summer at the earliest, the Rev. Mark Erson said. "These are the people who are walking right past our door," Erson said. "We want to give them some respite from being on the street all the time." Erson, 52, who is St. John's first openly gay pastor, said the volunteer-staffed, grant-funded drop-in night for visitors aged 15 to 25 will offer a hot meal and a place to relax, and may even grow to include theater and arts programs. 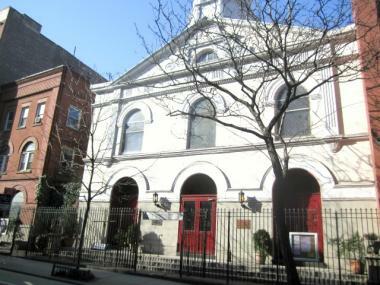 St. John's Lutheran Church on Christopher Street just west of Seventh Avenue South is planning to launch a Friday-night drop-in center for homeless, LGBT youth as early as summer 2012. Erson, a Staten Island native, worked as a high school theater instructor before he was ordained in 2009. Youth-services organizations that serve needy LGBT youth who flock to the West Village have long described a greater need for housing referrals, counseling and meals than they can provide. The Hudson Square organization The Door is also open to runaway and homeless youth, many of whom identify as LGBT, every day but Saturday. Homeless youth services staff member Mike Morgan said the more places needy young people have to go, the better. "For the longest time, these people were invisible," The Door staffer said. "That St. John's is opening something up echoes that there's now a community that's trying to solve this complex problem." 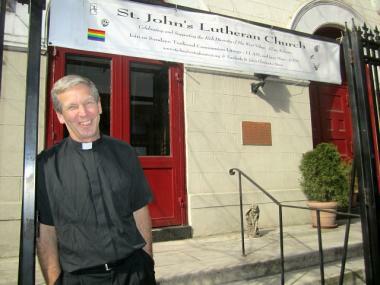 In addition, the Church of St. Luke in the Fields, on Hudson Street, opens its doors to homeless LGBT youth. The Episcopal church has provided a meal prepared by a chef, educational and job counseling, and a "family atmosphere" every Saturday night for the past 10 years, church development manager John Donnelly said. A meal and activities will take place on the lower level of the church, the Rev. Mark Erson said in March 2012.